The best compromise would be to do all the necessary electoral reforms within the shortest possible time and to have the elections without delay so that it will be a win-win situation for both people and the government. In a democracy people are entitled to a good electoral system as well as an unhindered opportunity to exercise their right to vote. The idea reportedly mooted by the government recently to make it compulsory by law to have all provincial council elections on the same day, on the face of it, is a salutary move. 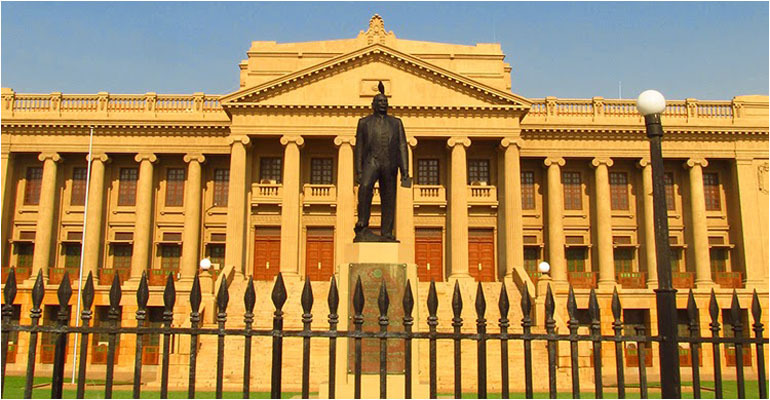 Due to whatever reasons, when the provincial councils were set up by the J R Jayewardene government they did not introduce the same day election rule for PCs. If it was deliberately done the motive would have been to keep the option of testing the waters by having these elections one by one so that it would always be for the advantage of the government in power. Following the thirteenth amendment to the Constitution the first provincial council election was held in April 1988 only in four provinces – Wayamba, Uva, North Central and Sabaragamuwa, because of the bad security situation that prevailed at the time. The elections to the other provinces were held subsequently, again not on the same day but on a staggered basis. 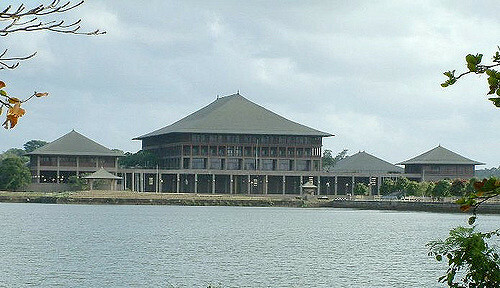 Upon the expiry of their term elections to seven provincial councils other than the north and the east were held on the same day in May 1993. That means although the election law did not strictly prescribe the necessity for same day elections, the normal practice applicable to parliamentary elections was followed in this regard as well. The elections in the north and the east were not possible because the amalgamated province had been taken under the central control by that time following the unsuccessful attempt by Vartharajah Perumal to declare independence unilaterally. Thereafter, each time when provincial elections were held it was for two or three provinces and thus we inherited a situation where a few PCs complete their term every two or three years. This gave a good opportunity for incumbent governments to test their popularity from time to time and act accordingly without having to face the risk of islandwide elections at once and every government has been using this distortion for their own advantage. Now the cabinet has already approved a proposal to amend the election laws and the Constitution to make it compulsory to have all provincial elections on the same day. But the problem is, even if the law is passed, how do we get it straight with terms of PCs ending on different dates? One way is when one or two provincial councils finish their terms around September to dissolve the remaining councils as well and to have elections for all. The other option will be to put the PCs which will be finishing their terms early under presidential control and wait till the all others finish their terms. The first option will be disadvantageous to all PC members who have considerable time to finish their terms and therefore such a move is likely to be opposed by the respective provincial councils. The exercise of the second option will mean postponement of PC elections and that kind of move will any way be resisted and opposed by all opposition political parties who have already been clamouring for early local government elections. The governing parties will naturally think that postponement of any election is going to be in their advantage given the wave of problems and the public protests they are currently facing. The other issue is the major split in the SLFP which has been deteriorating over several months and the party will need reasonable time to sort out their issues. Then UNP under Prime Minister Ranil Wickremesinghe has been too busy with mega economic plans and reforms and seems to be not concentrating on any grassroots level political activities that are vital if they are to face any election. Now the local government elections have been due for a long time and technically they have to be held before the provincial elections. However, despite necessary draft legislation for reforming the electoral system being before parliament, still there is no clear sign about holding such elections in the near future. However, as the legal position stands today there is no room to postpone provincial council elections whenever they become due and the Elections Commission has already made it clear. The terms of the Eastern, North Central and the Sabaragamuwa Provincial Councils will expire between September 6 and October 1. Any change in this situation can occur only thorough the amendments to the provincial election laws which are likely to be taken up soon. Whichever election is going to be held first, the problems that are to be faced by the government will be the same. With the split in the SLFP such an election is going to be fought by three groups unless the two governing parties decide to form a coalition. Facing such an election alone is a difficult task for the SLFP faction led by President Maithripala Sirisena. On the other hand, the Joint Opposition backed by former president Mahinda Rajapaksa which has been demanding early elections seems to be under the belief that they can enhance their lot at any future poll. 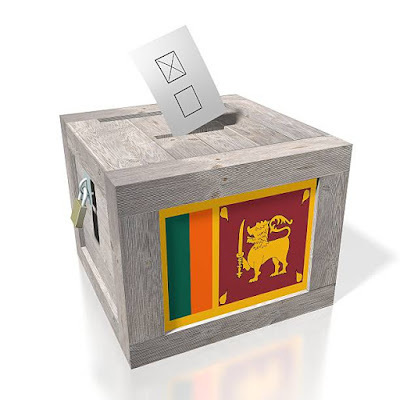 While the debate over PC elections is on another idea that has already come up is the need for changing the electoral system of the provincial councils. Draft laws for reforming the local government electoral system and introducing a hybrid system being ready, one may propose why not introduce the same for PCs as well. The constitutional process that is going on in the parliamentary steering committee has already developed some comprehensive proposals to introduce a hybrid system at national elections so that it becomes meaningful to have the same for PC polls as well. These are proposals beneficial to the people and electoral reforms at all levels should happen sooner or later. Many governments in the past while accepting in principle that PR system is not in the best interest of the people, have gone on postponing the electoral reforms for petty reasons. On the other hand, it is equally bad if the current government starts working on these ideas of reforms and drags their implementation with the ulterior motive of postponing elections until the final years of their government’s term. Meanwhile several security related issues have surfaced in the north in the past few months and these developments could well be disadvantageous for current attempts to develop a constitutional solution to the long standing northern issue. The latest is the sword attack on two policemen in Kopai preceded by the incident which ended the life of the police sergeant who was handling personal security of Jaffna’s High Court Judge. Some of the persons who have been arrested in connection with these incidents have been proved to be ex LTTE cadres. In the past one or two years there have been many such incidents including discovery of some arms and ammunition in several locations followed by the arrest of a number of ex-LTTE cadres. The IGP Pujith Jayasundara has pointed out that some of the recent incidents are akin to the things that happened during the formative years of the LTTE and it is not possible to say that we have totally eradicated terrorism from the country. All this shows the importance of national security and alertness despite absence of war and the popular belief that terrorism has been almost wiped out from our country. In this age and time where terrorist groups are powerful enough to shake even mighty nations, emergence or re-emergence of terrorism could be a matter of time. So, the mere fact that the war is over in our country should not be a reason to be complacent about national security. Let us hope that the political authorities will heed the advice proffered in this commentary and lose no time in going in for the 'win-win situation' suggested by the veteran journalist Gamini.